In 2004 Zach Beers approached Mr. Prangley with the idea to start a rugby team at Waterdown District High School. By 2005, "The Originals" were formed with the support of Simon Lewis, Braden McLeary, Matt Stajov, Andrew Hyde, and Mr. Tidridge. Both boys and girls made up the original team at Waterdown before they were split into separate programs for the 2006 season (Mr. McKenzie and Mr. Thomas taking over as coaches for the girls' team). The Originals trained the entire 2004-5 season to play one match against Pearson High School - a game in which Waterdown came away victorious. The 2006 season, Waterdown's first in HWDSB League, was a huge success for the team. 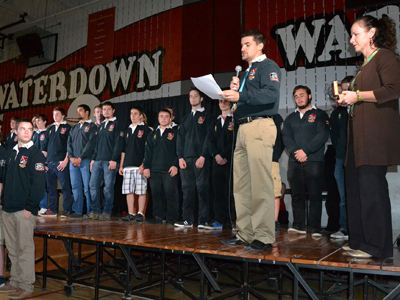 Finishing fourth in City Finals, the Waterdown Boys' Rugby Club announced its presence to the Board. This success was followed the next year with the team declaring itself part of the "True Sport" movement, a pledge that promoted the skills and values of sport. 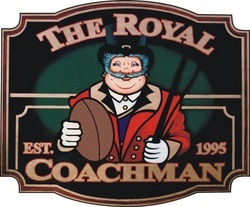 2006 was also the year local restaurant, The Royal Coachman, announced its sponsorship of the team - a relationship that continues to this day (a 2008 special edition jersey now hangs in the Royal Coachman). The following year saw the addition of Monty Heald to the Coaching Staff. On February 13th, 2008, the Club were given the distinct honour of being marshals, as well as forming the flag party, for the vice-regal visit of The Honourable David C. Onley, Lieutenant Governor of Ontario. The Club served His Honour with class and dignity. As a mark of honour, the 2008 jerseys had a mace embroidered on them in gold (called the "mustard stain" by the boys"). Thanks to the efforts of Eddie Enriquez and Paul Bousfield, the Club received a sizable donation from the Ministry of Education in 2009. This grant allowed the Club to offer more support to its members, as well as ensure that boys participated in some out-of-board tournaments. 2009 also saw the addition of Dave Burnett to the coaching staff - Dave eventually became Head Coach in 2010. The 2010 season began with "The Group of Five" (Eddie Enriquez, Monty Heald, Dave Burnett, Zach Hrozjak & Mr. Tidridge) meeting at the Royal Coachman to completely revamp the Club. The 2010 season saw more fund-raising, tournament play and training than any season so far. Staff advisors Mr. McGregor, Mr. Rizza, Mr. Petruszkiewicz and Mr. MacIntyre rounded out the team to deliver the best rugby program Waterdown had ever seen with the boys finishing 3rd in HWDSB League (after Saltfleet and Orchard Park). There were a lot of glorious milestones during the sixth season: The 3 Trys/3 converts scored against Saltfleet, Val Stoicescu's remarkable 3 Trys in one game, Nathan Bryan's epic conversions, and Jordan Young's Trys as a rookie to name a few. We also had the crazy match against Guelph Collegiate at Joe Sams, Tyler Bower's field promotion, and the heart-breaker (and eventual redemption) with MacNab. Our club was devastated to learn of the sudden death of our head coach, Dave Burnett, from acute pancreatitis April 2nd, 2011. A meeting was held at WDHS first thing on April 4th so that the team could be told face-to-face what had happened. Attending a celebration of the life of Coach Dave, the boys honoured him in a way that he would have really loved: by throwing the ball around while people from all over the country gathered to remember a true gentleman. Captain Jake Newman dedicated the 2011 season to Coach Dave, and his name has been shouted across the pitch ever since. Dave Burnett was posthumously inducted into the Rugby Ontario Hall of Fame on December 7th, 2013. The Honourable David C. Onley, Lieutenant Governor of Ontario (a great friend of WDHS) heard about the extra-ordinary group of young men and their coaches involved with the WDHS Boys’ Rugby Club. The fact that our team comprises true gentlemen, that are community-minded, that have bonded so well really touched His Honour, who has asked that they be presented with a set of Diamond Jubilee Commemorative Pins. These pins were presented to the Club, to be given to the boys, last night at Queen’s Park (in the Vice-Regal Suite). The pins are a personal gift from the Lieutenant Governor of Ontario and a great honour for our Club. 50 pins have also been presented to the Principal of WDHS in honour of the boys to be given by her to deserving students. It was this year that Waterdown Rugby came back from the University of Waterloo Tournament as champions - the first time in our history! Another first was our defeat of Saltfleet's Junior squad in HWDSB league play. We were also very lucky to have some of our early practices run by Darrel Devine (Head Coach at Guelph University) and Joe Newman. 2014 also saw the resurrection of the WDHS Girls’ Rugby Program thanks to the efforts of the players and Mrs. Long. To cap it all off, former WDHS Rugby players Joe Newman and Chad Strapp made the Canadian roster for the 2014 International University Sports Federation, FISU, Men’s Sevens Championship in Sao Jose de Campos, Brazil, from August 8th -10th. The 10th anniversary year of our Club began with former vice-captain Tyler Bowers acting as a flag barer during a vice-regal visit to Waterdown by the Honourable David Onley (to help dedicate the Souharissen Natural Area August 21st, 2014). Soon afterwards Mr. Tidridge received a phone call from a ship off the coast of Manitoulin Island over the summer - it was her Skipper, Andrew Fryer. Andrew, one of "The Originals," was now master of the brigantine STV Pathfinder . 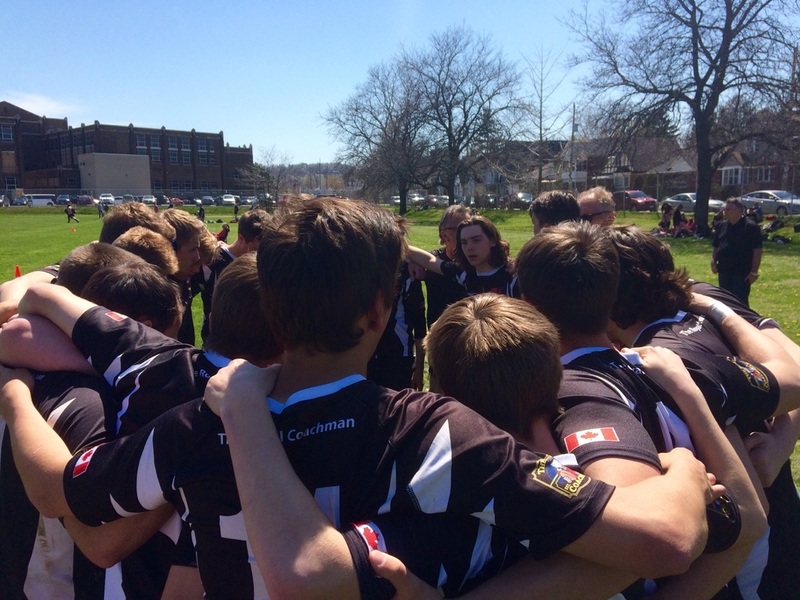 The 2013 season was the most successful in club history with the boys finishing second in the city (defeating Orchard Park for the first time) and participating in SOSSA (another first for Waterdown Rugby). Led by the Bryan brothers, Waterdown Rugby reached a new level of play - helped by nearly 1/3 of the squad joining the Burlington Centaurs during the winter months. The Club was also proud to learn that former Waterdown player Joe Newman, playing for Rugby Canada, represented Canada in men’s rugby sevens at the July 6-17th 2013 Summer Universiade in Kazan, Russia. The 9th season began with members being a part of the largest crowd in Rugby Canada history: the November 3rd, 2013, match between Canada and the Maori All Blacks. Shortly after, the Honourable David C. Onley agreed to become our honorary captain, reflecting our Club's commitment to accessibility and long relationship with His Honour throughout his time in office. 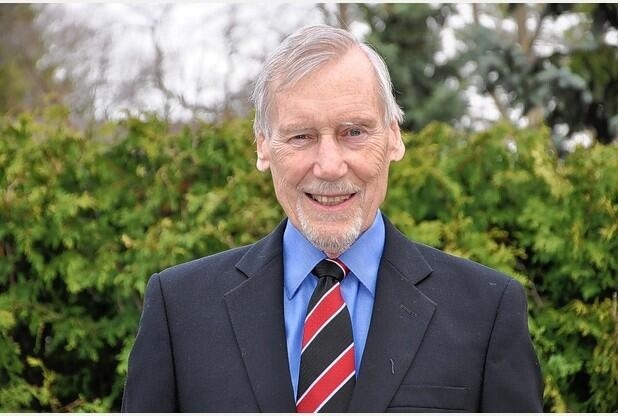 On June 14th, 2014, Coach Monty Heald was made an Honorary Life Member of Rugby Canada in front of 18,000 spectators at the Canada vs. Scotland match. Monty was only the second person in Rugby Canada's history to be given such an honour, and made sure that Waterdown District High School was mentioned in the citation read out to the crowd. Cpl. Braeden McCleary (second from the left) acts as pall-barer for Cpl Nathan Cirillo during his regimental funeral in Hamilton. October 28, 2014. Captain Fryer wanted to bring his ship to home waters (as close as he could get to Waterdown) and Waterdown District High School came to greet him in Hamilton Harbour on September 11th, 2014. An amazing moment was when Rugby Club Member Shane Harper and Member of Parliament David Sweet presented Captain Fryer with a Flamborough Flag on behalf of the school which was promptly hosted into the air. The presentation happen near the ship's wheel which is dedicated to the memory of Andrew's father, Mark Theodore Fryer. One of the founding members of the Rugby Club, Corporal Braeden McCleary, acted as pallbearer for Cpl. Nathan Cirillo during his regimental funeral in Hamilton on October 28th, 2014. Cirillo, a fellow member McCleary's regiment, the Argyll and Sutherland Highlanders of Canada, was gunned down while acting as the ceremonial guard at the National War Memorial. The funeral was one of the largest outpourings of community support in Hamilton's history. On July 11th, 2015, the Club was very sad to loose its legendary coach and mentor Monty Heald to cancer. Monty was with Waterdown Rugby since its very beginnings, bringing with him an encyclopedic knowledge rooted in a lifetime in the sport. An internationally celebrated icon of rugby, Monty was remembered at a gathering that summer at the Burlington Centre for the Performing Arts. 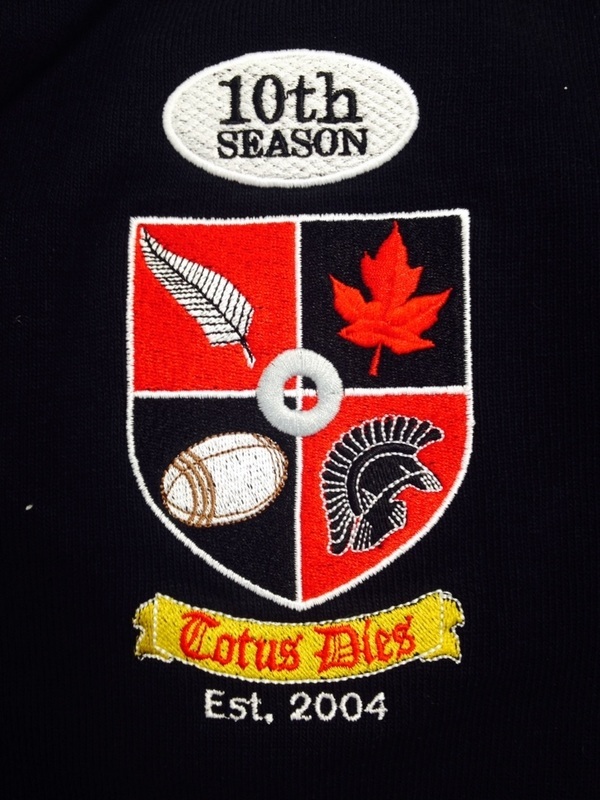 To acknowledge and entrench Monty's tremendous impact on Waterdown Rugby, the official crest of the Club was permanently altered in 2016 to include his name. The Honourable David C. Onley with members of the Boys' Rugby Club during a visit to WDHS in 2007. Drive down Highway Five until Appleby Line. Turn Right onto Appleby Line. Follow Appleby Line to Fairview Street. Turn left onto Fairview. Follow Fairview all the way to the end (Sherwood Forest Park is located there). Yesterday during the Waterdown Boys' Rugby match against Ancaster I noticed a small child talking with his father on the sidelines. "Father," he said, "who are those creatures that play before us. Surely they are Immortals like Ares, Apollo and Nemesis?"
. . . and Moe." "And who is that?" the boy pointed out to the field of chaos. "Oh him," his father smiled, "that is actually the real Zeus, but the boys here call him by a different name. Here they call him 'Tom.'" It was a great victory for Waterdown yesterday Warriors - catapulting the team into City Finals on May 16th. 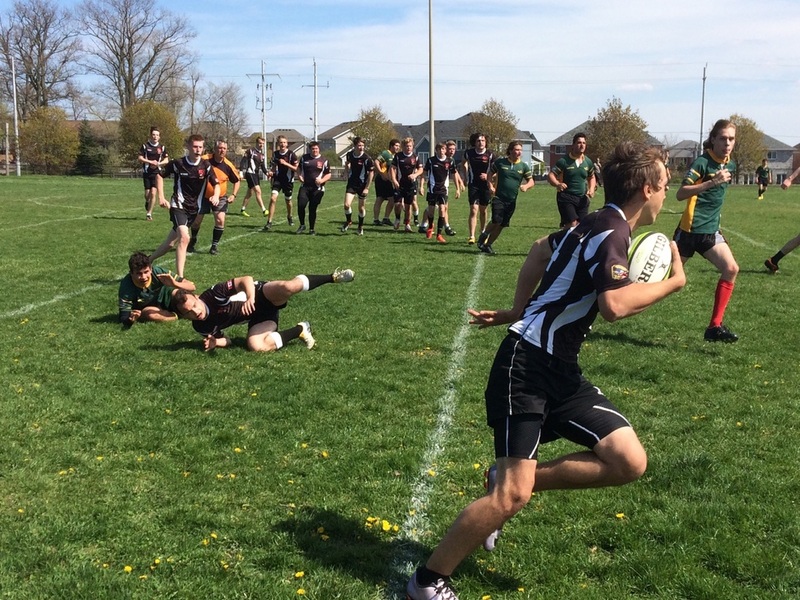 Last Friday your Waterdown Boys' Rugby Team went head to head against Westdale. It was a physical game led by Thor (I checked his student card and that is his real name) - and Thor was angry. Our boys threw themselves in, battling with everything they had. Cam Ramolla delivered a brilliant and devastating tackle at one point, as did Addy Nixon. Vice Captain Ethan Johnston battled hard, earning the BOA for the match, but ultimately it was the Titanic verses the iceberg and we were the ship! Waterdown went down in defeat 5-22. Our next match is against Ancaster. We had enough lifeboats on Friday, so it is all hands on deck today. Yesterday was the season opener for the Boys' Rugby Club, and in the immortal words of The Donald it was "Yuge." In what was for some their first rugby match EVER, the boys threw themselves at the top team in Hamilton with everything they had. Nick Bell charged into the game, at times leaping around like a deranged Wildebeest, Saltfleet players falling left and right. Ben Patterson smiled as he tore across the pitch, eyes locked on the ball. The boys came together like a well-oiled machine – how far they had come since that one time Tom Coville brought a soccer ball to practice . . . In years past Waterdown would go down in defeat against Saltfeet, posting losses that could only be called catastrophic. Yesterday they were only 3 heartbreaking points from victory – it was brilliant. One of the great highlights of yesterday's match was witnessing Mike Hennessey leave everything out on the field. It was Mike that scored our first try of the season, a try against Saltfleet no less. As I watched him dash across the pitch, earning the first BOA from Captain Dylan Dukeshire, I could not help but say to myself "I'm really glad I passed that guy in Canadian History." Well done Mike. WDHS Alumni Brad Farquhar (currently in Western University's Kinesiology Program) has developed a workout routine for our Club. Please take a look at the uploaded sheets, and see Mr. Tidridge with any questions you have, or if you would like to be put in contact with Brad. Dr. Schaeffer has spoken to the dental laboratory in Hamilton, and they are generously offering a One Laminate pressure formed sports mouthguard at a reduced fee. In an ideal situation, the R-3 pressure formed mouthguard is the best for individuals playing sports like rugby, however, even a One Laminate mouthguard can be useful (and definately way better than boil'n'bites and other non- custom mouthguards). Take a look at the file attached to this message that details mouthguards aldente is able to make with the regular fee, and then the reduced fee for our team. There is information about the different types of mouthguards on this sheet. Please feel free to print them out. If you want one of these mouthguards, players should call or email aldente (click on their logo at the top of this website) to make the appointments. Make sure to let them know you are a member of the rugby team so that they know to apply the appropriate discount. More information (including the address) of Joe Sams Park can be found here.